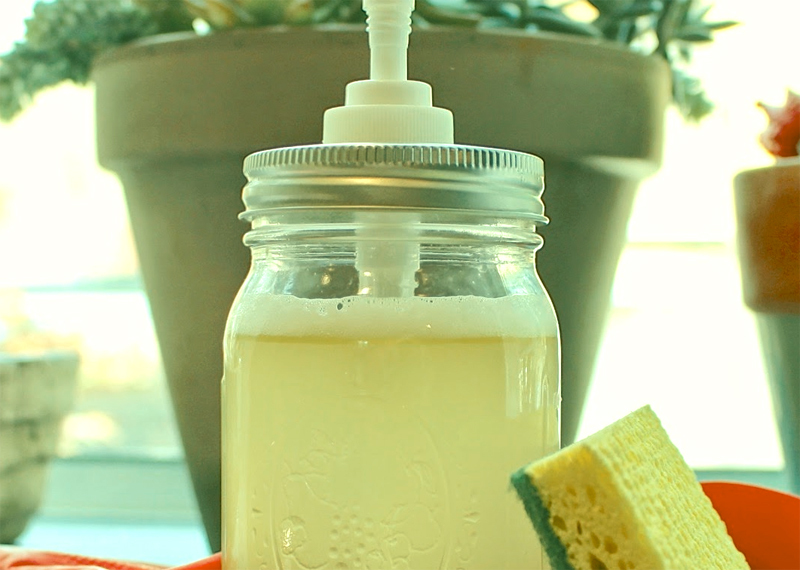 Do you know just how easy it is to make your own dish soap? It really is! And by making your own you not only can cut down on all the harsh chemicals (Chlorine, alkyl phenoxy ethanols (APEs), dichloromethane (DCM), diethanolamine (DEA), dioxane, phosphates, sodium lauryl/laureth sulfate, and synthetic fragrances) and other environmentally unfriendly products (for example, palm oil), but you also will decrease your use of plastic, and save money. Used dish soap squirt bottle or pump dispenser. *Other soaps, such as my pure coconut oil soap for laundry, can be used. However, some need more washing soda to thicken and some need less. If it’s watery,reheat the mixture and incrementally increase the amount of washing soda until it reached the right consistency. ** Super washing soda creates a stronger gel reaction than homemade washing soda. Place water on the stove over medium/high heat. Add grated bar soap and stir until dissolved. Once the bar soap is dissolved, remove from heat and pour mixture into a container. I pour mine directly into my pump dispenser because it has a wide mouth that allows me to stir the ingredients. Add liquid castile soap, 2 1/4 teaspoons of the super washing soda and glycerin. Stir thoroughly. Let soap set for 24 hours, stirring occasionally, then check the consistency. Keep in mind that it will thicken over time, so a little runny is okay! If you want it thicker warm it up and dissolve in 3/4 teaspoon washing soda, then let it set again. If needed repeat the process – adding 1/2 teaspoon each time – until desired thickness is reached. Important Note: This soap tends to thicken over time. If that happens, no problem! Just add a little warm/hot water and stir to mix. Also, shake from time to time to make sure the liquid is thoroughly distributed. Once this soap has reached the consistency you desire stir in essential oils. Place in container with pump or flip top squeeze lid and use! Add 1 to 2 tablespoons of this mixture to your dishwasher detergent compartment along with 3 drops of dishwashing liquid (see above recipe). Do not use more than three drops. The dishwasher will overflow if you use too much dish soap! Then splash 1/2 to 1 cup of white vinegar into the bottom of the dishwasher and start the machine. Clean, spot free dishes every time! 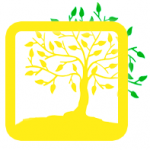 To find environmentally friendly, local products visit Pick-A-Pepper.com!